How To Post An Image. 1) Go to the image hosting service (Photobucket for example), and copy the Direct Link. It will start with "http://". Or you can right click on just about any image you see on the internet and copy the link code - this works with animated gifs too. 2) Go back to the forum and press the "Insert Image" button. 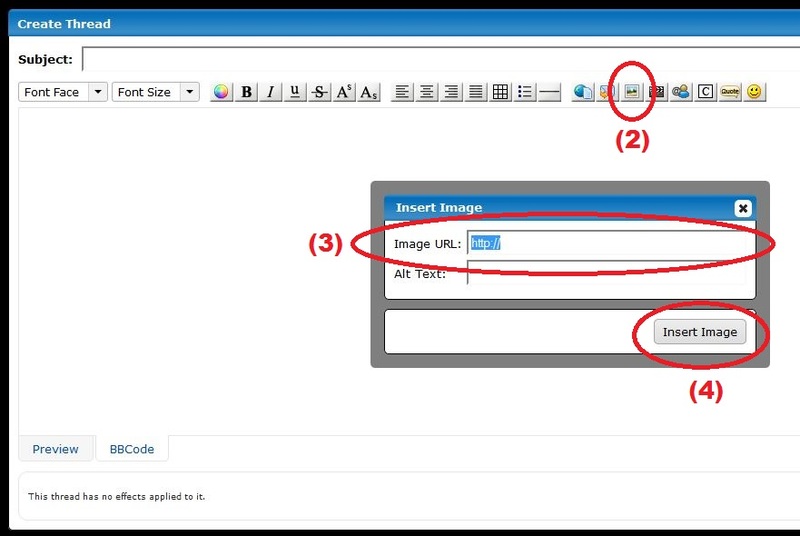 3) Paste the image link code into the "Image URL" field. 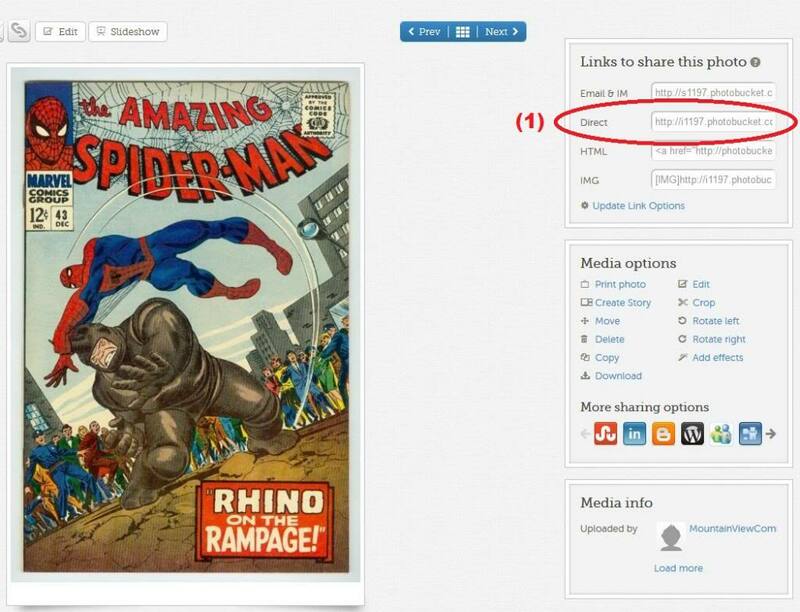 4) Press the "Insert Image" button on the pop-up. Last Edit: Aug 26, 2017 14:32:40 GMT -8 by J.A.R.V.I.S. 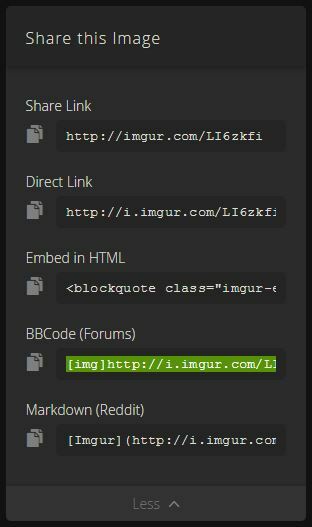 If you are comfortable typing your own code, you can also just use the BBcode image tags. Just remember to replace the parenthesis () with brackets [ ]. Many image hosting services now provide forum links. I highly recommend IMGUR. Just copy and paste the code directly to the forum post.